Now mobile applications have taken over almost everything from day to day task to cardinal enterprise operations. Everyone is pleased with the evolving rulership of the mobile app technology in the digital world. However, not everyone is aware that app development process is not that much simple and undemanding. 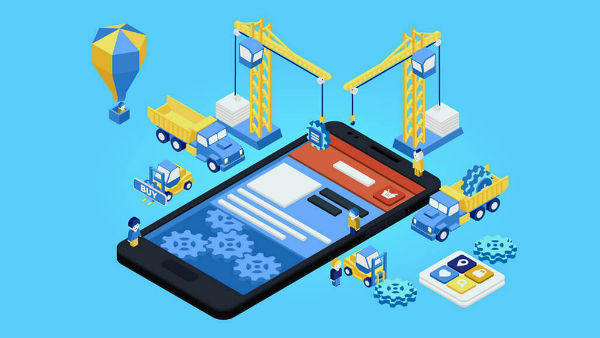 App making is a tedious process and consist of multi-stage steps that needs to be practiced with detailed knowledge about the development cycle. In case you are stepping up to the app for your business you should know the phases that fabricate the app development cycle. There are basically 8 steps you need to go through one by one at a time in order to acquire successful app. This article will enlighten you about the whole process of building an app with the brief information of each step. What are they lacking that we can use as the key element? A comprehensive research should be done in this phase which includes users, competitor's, product, aim, and services that will give you an idea about capital and time investment. When you have all the research done and got the direction to take your idea on the road of app development you need to step at the second phase. The research will give the estimate of investment of time and money needed in the development process. Now make a prototype of your product using the research details and exploring your idea. Write down all the functionalities and draw a sketch or flowchart on board. This will be the first representation of your ideas and details gathered in the first phase. Try to discuss its attributes and functionalities with other team members, listen to their opinions and views what they think about the primary mental prototype. You need to see it from their point of view who knows you get some unique idea. You have an idea and whole working flowchart with you which is exceptional but is it possible to make it operational?. Having all the functionalities and imagine operations on the paper is one thing and converting it into fully working model is another. You need to check the back end technology assessment in order to know are these things possible. You should know whether back-end system will support the app API’S or not. To know exactly your app idea is technically feasible you need to the access the public API’s by simply sourcing public API. Platform Selection Plays a very important role as a different platform have different requirements in order to make all functionalities operations. The application is a digital tech element you won't be able to know it until you actually touch the app on your smartphone. Now you need to build a real prototype of your app to experience how it works and interact with the user. You can use the simple and not comprehensive wireframes to built as it is necessary to get the product in user's hand as early s possible. This will basically help you to know all the things are going as planned. You can get the feedback from the users and use it to enhance or revamped the app accordingly. Before going to start coding for the development you should be aware of the design of app very well. A peculiar design should be structured in order to serve the best to the user. A User experience designer will build and design the elements required to enrich the app interaction and the user Interface designer will work on look and feel of the app. The design is a very complex process and needs to be done with very precise decisions with the aim to ease and attract the user. The final results that you will get are blueprints or visual directions that will give you an idea how your app should look, feel and flow. Now you are at the core of app development process that came to mind when talking about the app development, yes coding. You have all the details, your idea is perfectly cooked with the all possible functionalities and design is ready it's time to create the final product. In this phase, the developer will start working to create the app on the app development platform. There are several approaches to complete the app development process but the most preferred one is the Agile. This approach is taken in practice due to its attributes like collaboration, transparency and iterative and incremental methodology. You have done all from your side to complete the product, now it’s time to test the app. The app should be delivered in the hands of users to know the result of user experience test. UAT- The best way to know is your app serving the desired solution or service to the is UAT test. Beta Testing - It is the proven technique or process to test your app by the user. Make sure your app is available to the users for open participation. The beta version will help you get user’s opinions and feedback directly. This feedback will help you to add what your app lacks from a user point of view before launching it. Congrats your app is ready and there is only one last hurdle left in order to deliver it to the users. You need to submit your app to the respective App store for the approval. Before submitting the App make sure you follow all the regulations and guidelines of the App Store and all the improvisation has done. This is the final step of the app development process. However, it's not the end every app needs regular updates in order to fix the bugs and enhance the features. Releasing upgraded version frequently with some added features engages the user for a longer period of time.